What did Karcher want to achieve? 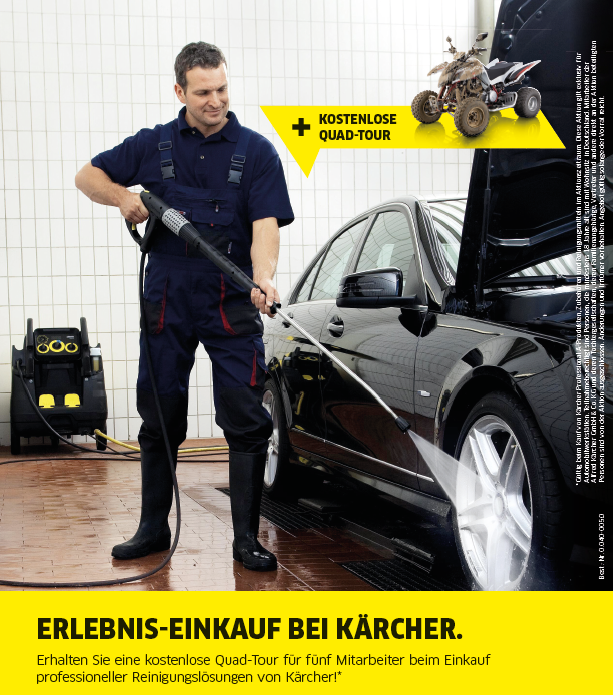 Car repair shops that purchase selected professional Kärcher products worth 2500 euros shall be rewarded. We organised a promotion around the themes action and cars. Car repair shops received a free quad biking tour for up to 5 participants. Applying online, participants could choose a region and request additional tickets.